IMPACT’S Making an IMPACT Initiative Celebrates the Second Half of 2018 - IMPACT Pharmaceutical Services, Inc.
RESEARCH TRIANGLE PARK, NC: 06 February 2019 – In the second half of 2018, IMPACT’s employees continued their generous efforts via the Making an IMPACT (MAI) community service initiative. Together, we held several donation drives for various charities, as well as our annual Season of Giving. In honor of Ann Brown’s retirement, Lori Davis took over our 5th annual BackPack Buddies food drive. 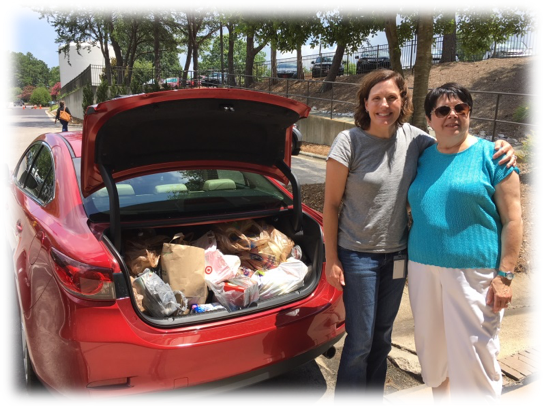 From June to July, Lori collected 337 pounds of food (topping last year’s drive by 102 pounds) and Ann delivered it to Interfaith Food Shuttle for distribution! Once again, we surpassed the previous years’ donations. Needless to say, they were grateful for everyone’s efforts! BackPack Buddies provide children from food-insecure homes with healthy weekend meals during the school year. The children, selected by school principals, guidance counselors, and supervisors of various after school programs, receive a backpack containing 6 balanced meals and 2 healthy snacks at the end of every week. The need for food items is particularly high during summer vacation, when children are not in school and, thus, do not have access to a school cafeteria for daily meals. Thanks to everyone for working to provide healthy food to local kids and families! In August, Lena Randhawa spearheaded our 5th annual Crayons2Calculators Fill That Bus Drive! Crayons2Calculators helps more than 10,000 local children in need by providing their teachers with basic school supplies and educational tools. Crayons2Calculators provided IMPACT with 4 bins to fill with school supplies. Together, IMPACT employees filled all 4 bins and then some! 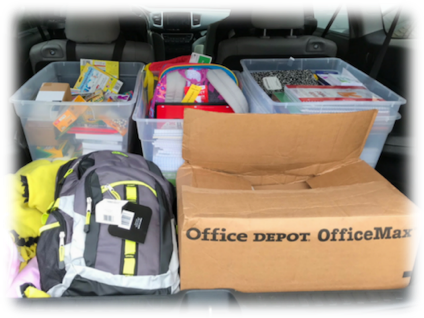 Thanks to everyone for helping out our local teachers! 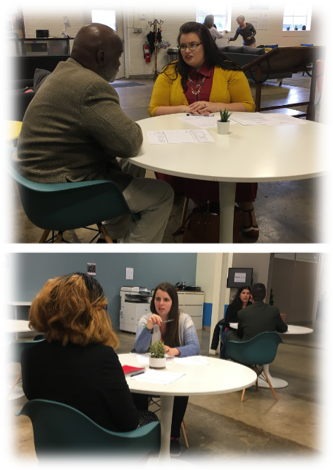 From September to November, IMPACT employees, led by Brandi Schuster, teamed up with StepUp Durham to serve as mock interviewers during their monthly Job Skills Workshop. Volunteers guided workshop participants through mock interviews and provided them with feedback in preparation for their job searches. StepUp’s vision is to be the premier resource in Durham County for people seeking to improve their lives and develop stable careers. Since the Durham office opened in 2015, 353 graduates have been placed in 327 jobs after completing StepUp’s Employment Program. This was a great opportunity for IMPACT to help people in Durham County in need of a more stable living situation to prepare for seeking employment over the holidays. Together, IMPACT employees helped 3 classes of 18 workshop participants graduate from StepUp’s Employment Program! Thank you to everyone who supported the admirable efforts of this organization! 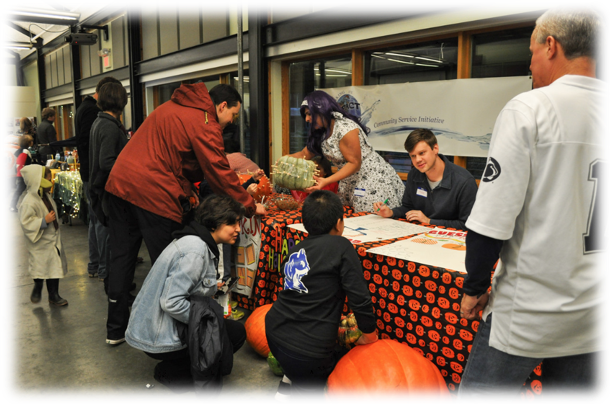 In October, MAI was 1 of the sponsors for Wonder Connection’s Bootanical: Pumpkins in the Garden Halloween event at the NC Botanical Garden. Under Beth Pultorak’s guidance, the MAI team hosted an activity table at the event. Despite the cold and rainy weather, nearly 200 people made it out to attend the event! The event was held to raise awareness and support for Wonder Connection, which uses nature and science activities as tools to help hospitalized children and teens experience joy. Wonder Connection provides pediatric patients with a connection to the natural world via hands-on natural science activities. For the 3rd year in a row, Nancy Smith led the MAI November toy drive for Toys for Tots! 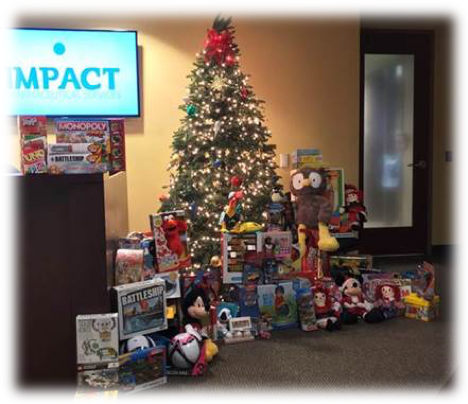 IMPACT employees and their friends and family donated to the regional Marines’ Toys for Tots Foundation, which donates new toys to less fortunate children over the holidays. Thanks to everyone at IMPACT. We achieved a new record and filled 3 bins this year! 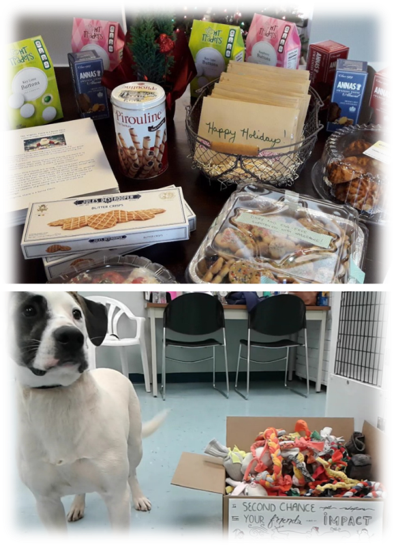 In December, MAI spearheaded our 3rd Annual MAI Season of Giving, hosting a festive session of anonymously decorating each other’s offices, writing holiday greeting cards, and hand-making dog toys out of recycled materials! IMPACT employees signed and decorated holiday greeting cards for the residents of a local assisted living facility. Along with the festive cards, employees also provided home-baked and store-bought goodies to help brighten the holiday season for the 70 wonderful residents of the Chatham Commons Assisted Living Facility in Cary. Employees also gathered to test their artsy side by hand‑crafting dog toys from recycled t-shirts, socks, and plastic bottles. The result was a motley collection of colorful dog toys that were delivered as Christmas gifts to the very appreciative dogs at Second Chance Pet Adoptions. Second Chance is the oldest no-kill animal shelter in Wake County and the donated toys were enjoyed by dogs at the shelter in Raleigh and within foster homes. StepUp Durham offers free employment readiness training, personalized job coaching, employer referrals, and supportive services to under- and unemployed job seekers in Durham County. The Independent Animal Rescue was founded in 1994 and provides safe and responsible care for homeless, abandoned, and abused animals; 100% of all donations directly support animal care and rehabilitation. The Women’s Center has been an established and welcoming portal of entry for homeless women for over 40 years. We provide a safe, low barrier, client-centered and trauma sensitive environment for women, where they can begin the stabilization and healing process. The Durham Literacy Center is an independent organization dedicated to providing free literacy services to adults and out-of-school youth in Durham County. Triangle Beagle Rescue is a breed-specific beagle rescue in the Triangle area that operates solely out of foster homes to ensure that their beagles learn the skills they need to be successful family members. Fine Whines and Lickers is a non-profit organization dedicated to saving shelter dogs of all sizes and breeds who would have otherwise been euthanized by placing them into loving, furever homes. We are so proud to support the admirable efforts of these charities to give back to their communities! As part of the MAI initiative, IMPACT employees come together as a team for larger community projects several times a year. Projects are chosen based on charities or efforts that have strong connections to IMPACT employees and their families. In addition, IMPACT supports and promotes their employees’ efforts to give back to their community by providing them 4 hours of paid time off per month to pursue volunteer work. 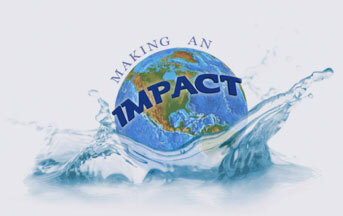 Would you like to be a part of IMPACT’s community endeavors? Let us know! We’d love to hear from you here, or via Twitter (@ImpactPharma) or on LinkedIn. You can also keep up with our Making an IMPACT events via our quarterly newsletters!